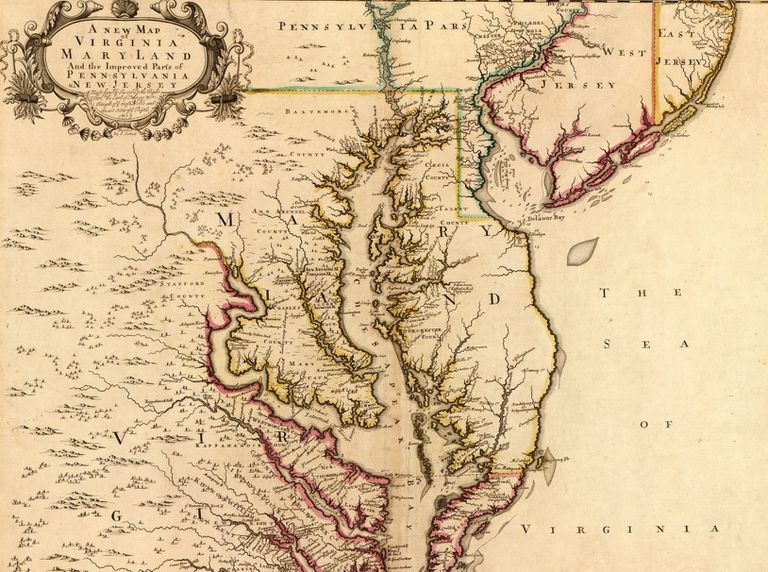 A 1719 map depicting parts of Virginia, Pennsylvania, and New Jersey. John Senex, 1719. Library of Congress, Geography and Map Division. 1. Which of the following was NOT the name of an early colonial region? The early colonial regions consisted of the New England Colonies (New Hampshire, Massachusetts, Rhode Island, Connecticut), the Middle Colonies (New York, New Jersey, Pennsylvania, Delaware), and the Southern Colonies (Maryland, Virginia, Carolina, Georgia). Each colony was allowed to develop and elect its own limited government. However, that government was operated under a colonial governor, who was appointed by and answerable to the British Crown. Most decisions of the local colonial governments had to be reviewed and approved by both the colonial governor and the British Crown. 3. Which document established the original 13 US states? Ratified on March 1, 1781, the Articles of Confederation established the original 13 US states. The Articles created a loose confederation of sovereign states operating alongside a weak central government. Great work! When it comes to the original 13 colonies, you clearly know your stuff. Get ready to learn about how conflict between the colonies and Great Britain began.